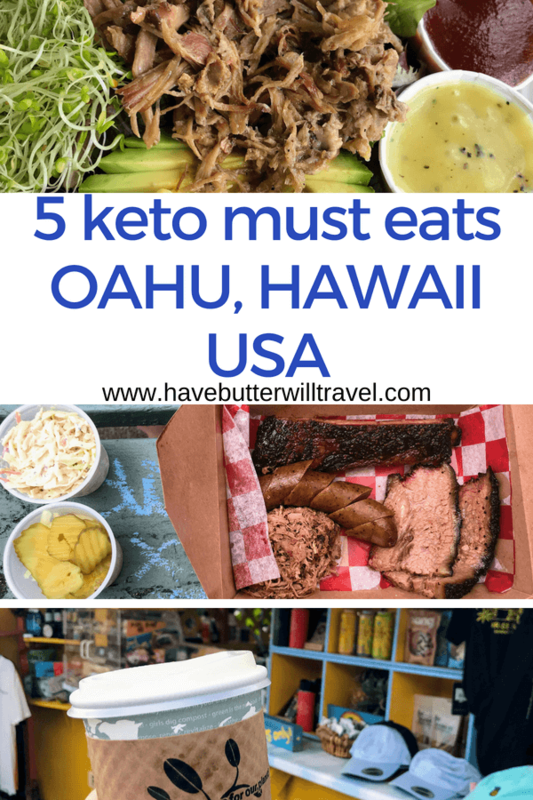 In June 2018 we travelled to Oahu, Hawaii and really enjoyed finding keto eats in Hawaii. 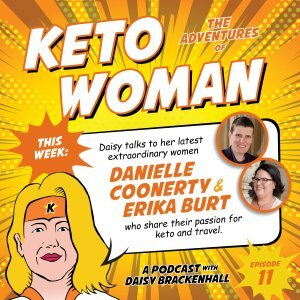 We stayed in both the North Shore and Waikiki, so the list includes great keto places in both locations. We spent 5 nights on the North Shore of Oahu in an Airbnb and 2 nights in Waikiki. 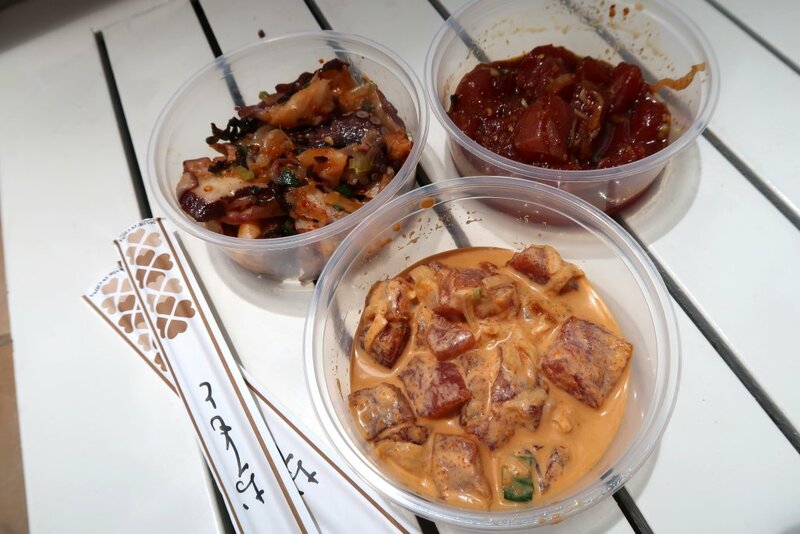 Whilst in Waikiki we used Uber to travel around and we loved to ask our drivers what their favourite poke place was and also what food trucks were the best. They are an excellent source of local information and are usually happy to share their thoughts. This trip we decided to give vlogging a try. As nervous as we were to put ourselves out there on camera, we enjoyed learning how to talk to camera. This is very much still a work in progress for us. If you enjoyed watching this video check out our you tube channel. We would love to know if you enjoy watching these videos, let us know and we will continue to work on making them for you. Open from Sunrise till 2pm. Open till 5pm on Triple Crown event days. 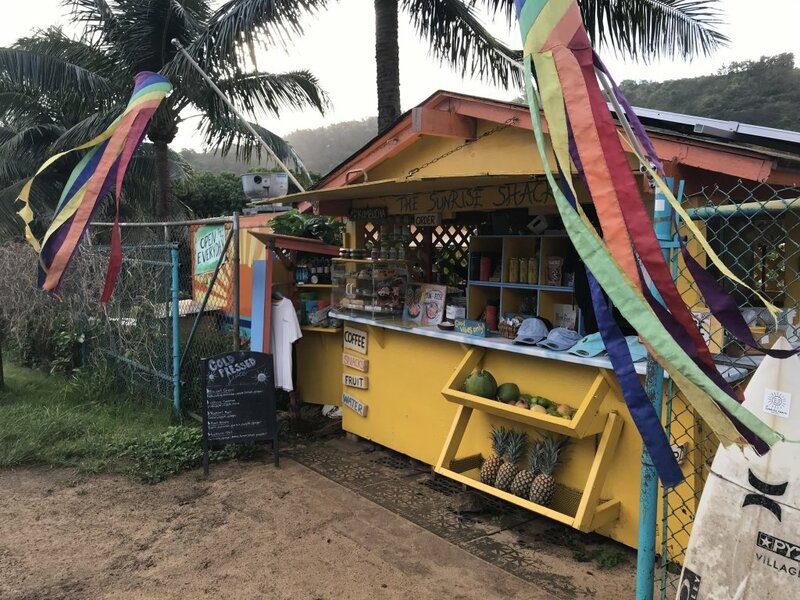 Look for the little yellow fruit stand right before Sunset beach when coming from Haleiwa, or after Sunset if coming from the east. You can’t miss it! Laird Hamilton’s mold free coffee lightly blended with coconut oil, MCT oil and grass-fed butter is what we do. Ingesting bullet coffee with healthy fats promotes long lasting energy, mental clarity and assistance in intermittent fasting. Dragon Tea: Dragon tea is made with a herb called gynostemma. This herb grows in the northern mountains of China and is known for it’s amazing longevity powers. 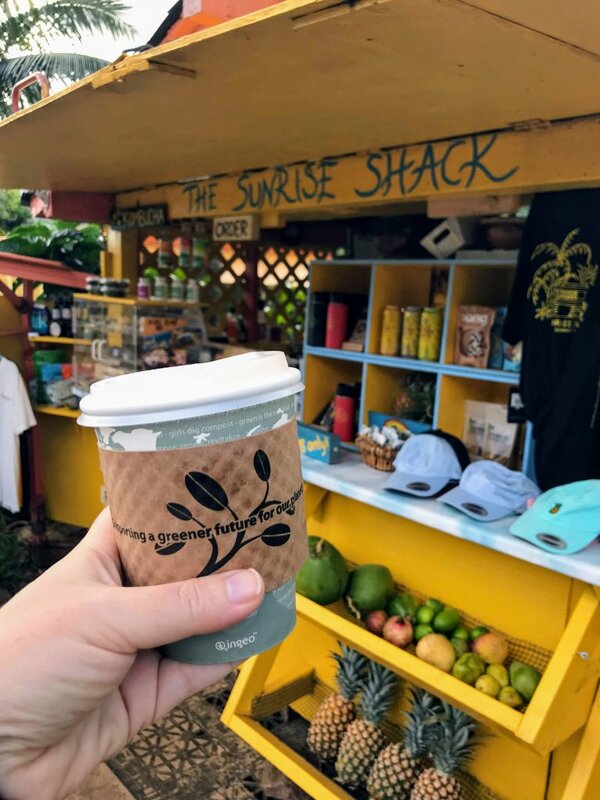 We heard about the Sunrise shack from Keto Connect when they visited Hawaii recently. After seeing it in their instastories, we added it to our list of must tries while on the North Shore. We decided to head out on an early morning walk and make the Sunrise Shack our turn around point. The staff were super friendly and patient with us while we asked questions and made our decision. We ended up visiting this stand twice, it was that good. Erika had the Almond Coconut Bullet both times and I had the Matcha Bullet and the Hot Cacao Elixir. We both really enjoyed our choices and would highly recommend the Sunrise Shack to anyone visiting the North Shore. Keep an eye out for their Waikiki Store, opening soon. Most of the poke is going to be keto friendly. Some of the places we saw allowed you to choose greens instead of rice. Just ask for any of the carbs to be removed. There may be sugar in some of the sauces if that is a problem for you. We try not to sweat the small stuff when we are on holidays. At Da Hawaiian Poke Company you can choose your poke, your base (greens for us), your flavour and choose your toppings. We planned to go here, but it was closed the day we went, with a sign on the door. After our failed attempt at Da Hawaiian Poke Company, we went to Ono’s Seafood on the recommendation of our Uber driver. We ordered the premium poke by the pound as we only wanted the poke, no rice. Our order consisted of 1/4 pound Spicy Ahi, 1/4 pound Hawaiian Style Tako and 1/4 pound Shoyu Ahi. The shop was really small, more a hole in the wall style with a few seats outside, so we decided to Uber back to the hotel and eat our poke by the pool. All of our choices were absolutely delicious. Really fresh and flavourful. Our favourite was definitely the Spicy Ahi. We could eat this for lunch every day if we lived in Hawaii. Our recommendation would be to get a poke with mayo to increase the fat, as it is a lean meat. Kahlua pork is a wonderful keto option. When ordering just ask for them to hold the carbs or choose a carb free option if available. Both of these places offer breakfast options with the pork and eggs. Talk about a keto match made in heaven. We went to both places on our most recent trip to Hawaii. We had been to Konos before we were keto and knew we would be able to make this a keto friendly option. At Konos we ordered the Chuns Bomber plus sour cream (We just asked them to place it in a bowl. We kept the potatoes in, you can remove them too.) and the Pig on Grass plus avocado. Now, some of you may know that Dan LOVES pulled pork, but this place was a big hit with both of us. The pork is juicy, tender and full of flavour. At Over Easy we ordered the brunch bowl minus the toast and the Kalua pig hash. We kept a couple of non keto items on, the candied bacon and the potatoes. The server was concerned about how we were going to eat the brunch bowl without the toast, but we managed. Given that the eggs are the speciality here, we both agreed that they did the pork really well. Oh and the amount of pork in the hash dish was very generous. We thought there would be more potato than pork, but that was definitely not the case. 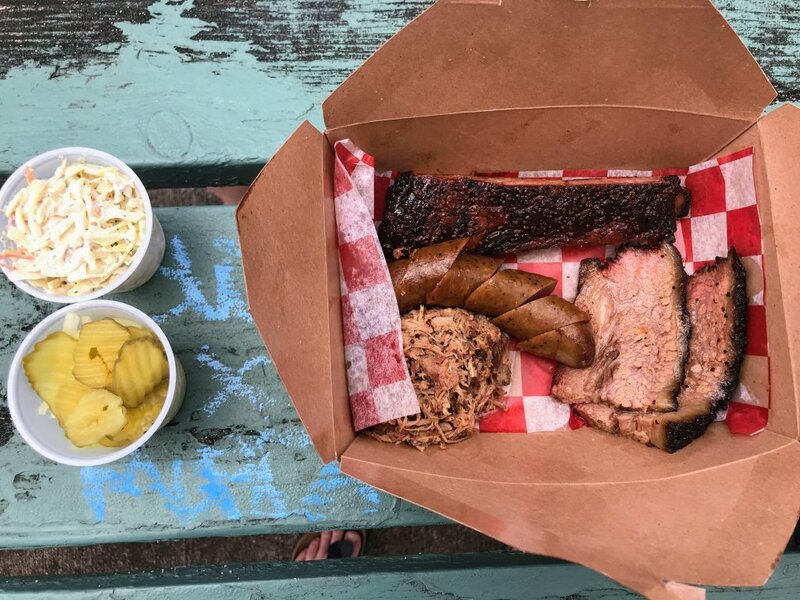 Our favourite food find on our most recent trip was Sunset Smokehouse. Be aware the ribs had a sweet sauce on them. We ordered a 1/4 pound each of the Brisket, Pulled Pork, Ribs and Sausage and a side of the ATX coleslaw. When we ordered we were asked if we wanted the fatty or lean cut of the brisket. We all know what we went with. The brisket was easily our favourite. It was so fatty and delicious. Full of flavour, a beautiful bark on the outside and easily the best brisket we have tried. All of the meat was very tasty. We also added the Austin coleslaw, which was not sweet and had a nice peppery flavour. Dan loves smoked meats and this was easily the best she has had. She is now super excited to go to Texas and sample all the best BBQ. Food trucks are really popular in Hawaii and we LOVE food trucks. One of the great food truck options in Hawaii are the shrimp trucks. There are lots of shrimp truck options on the north shore with Giovainni’s being the most popular. We didn’t try any Shrimp while we were there but we talked alot to our Uber drivers about it. The recommendation from our Uber drivers was Fumi’s Kahuku Shrimp. One of the driver’s mentioned Fumi’s shrimp is fresh, not frozen and easily his favourite. Located at 56-777 Kamehameha Hwy, Kahuku, it is well worth a stop on your North Shore drive. When we were strolling around Haleiwa on the Sunday of our visit, we could smell a delicious smoky smell in the air and we wanted to find out what it was. 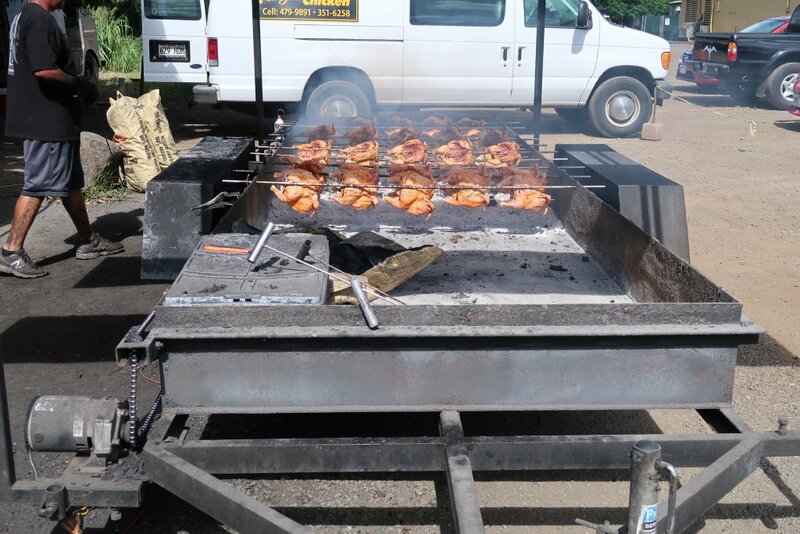 We found Mike’s Huli chicken cooking up a bunch of whole chickens over hot coals. We had already had lunch, so didn’t get to try it, but it looked amazing. 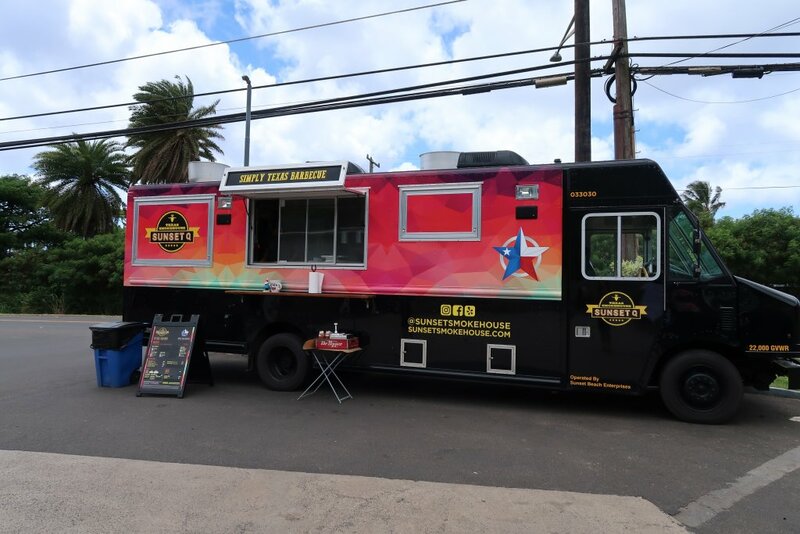 They have two food truck locations, one n Waikiki and one in Kaneohe. One of our favourite things to do when travelling is visit the supermarket and spend time strolling around looking at all the different foods and stock up on foods we can’t purchase in Australia. 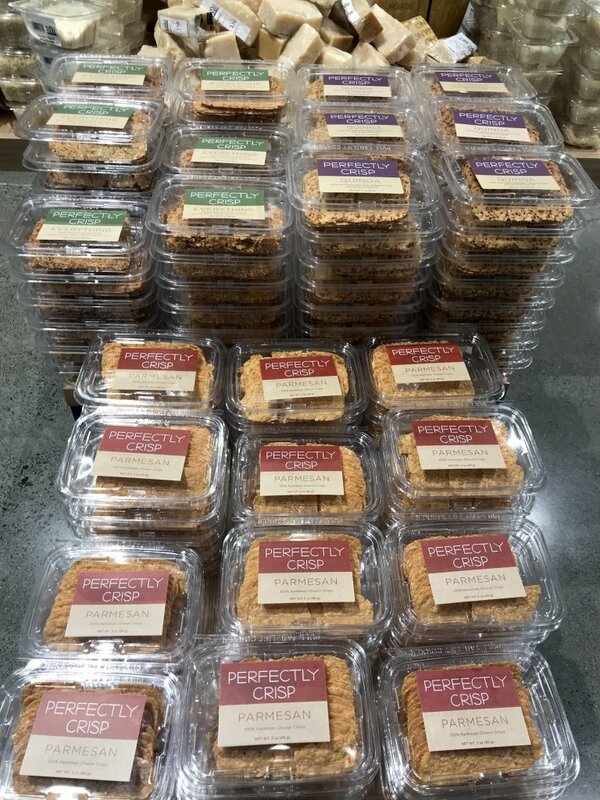 Wholefoods is like a wonderland for us. 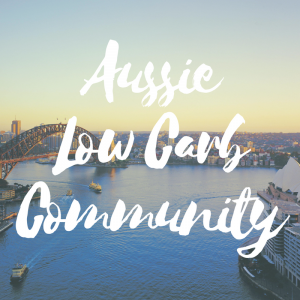 We love the idea of the salad bar and hot bar and would love a Wholefoods in Australia, just so we can make up delicious keto salads when we are out and about. Some of the items we bought at Wholefoods this time were the Primal Kitchens sauces and dressings, Lilly’s chocolates, Jilz crackers, supplements and we also stocked up on dips and cheese for our snacks while on the North Shore. Every time we have been to the North Shore the Coffee Gallery has been the place we go for our daily coffee. We were pleased to see that they have added bulletproof coffee’s and tumeric and matcha latte’s to their menu. They also offer different nut milks including macadamia, coconut and almond milk. Going to the Cheesecake Factory when in the US is a must for all Aussies. We just love this place. Australians will happily wait hours for a table here. The menu is huge and I can’t believe there is anyone who would not be able to find a keto option here. They also do their burgers protein style. 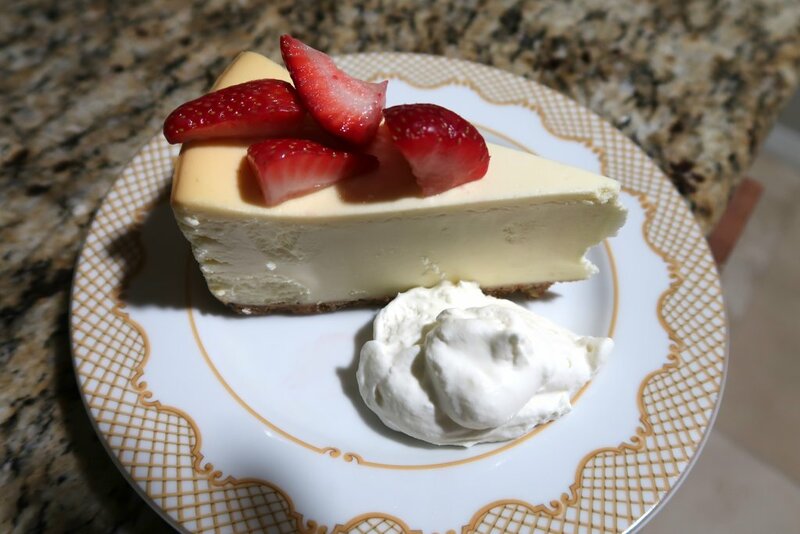 The best thing about the Cheesecake Factory for us is the low carb cheesecake. We love that we can order dessert here, which is usually never any option when eating out. If we can’t be bothered lining up for a table (from our experience there is almost always a line) get the to go cheesecake like we did. 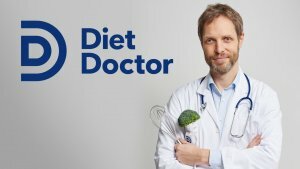 Another food chain that we see our US keto friends enjoying, that we were keen to try. We love cooking our own wings at home and they are one of our go to meals paired with Jalapeno poppers. Our order consisted of 2 plates of wings, 1 with Chipotle BBQ rub and the other Salt and Vinegar. Erika ordered hers as flats only. These were a pretty tasty option, but I think I still prefer our home made ones. Hands down, my favourite meal from this trip was the Sunset Smokehouse BBQ. Holidays can be hard to keep your food low carb and track and I really struggle with this, but this meal was just keto heaven. If there is only one meal you have in Hawaii, make it this one. It is well worth the drive to the North Shore, just make sure it’s on the weekend as they only operate on the weekends. Hawaii is one of our favourite US destinations and we are sure we will be back many times again. We are excited that we were able to find some excellent keto options in Hawaii and can’t wait to find more when we return. 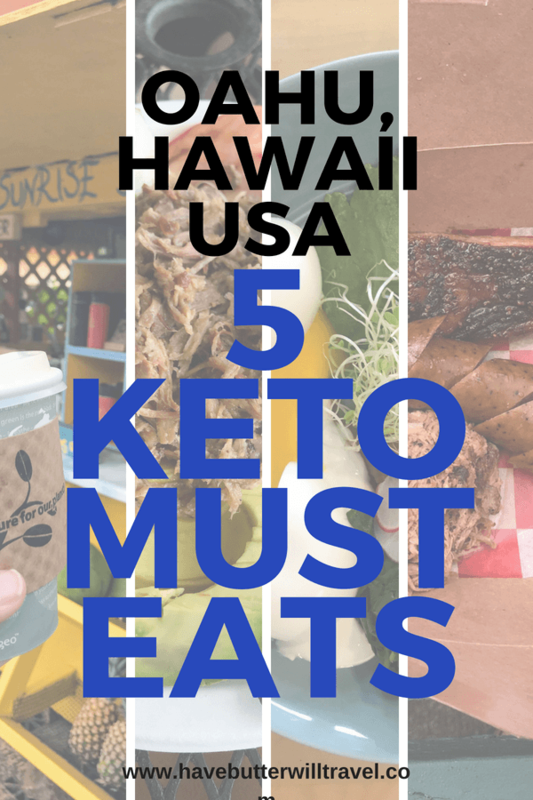 What do you think of our keto must eats in Hawaii? 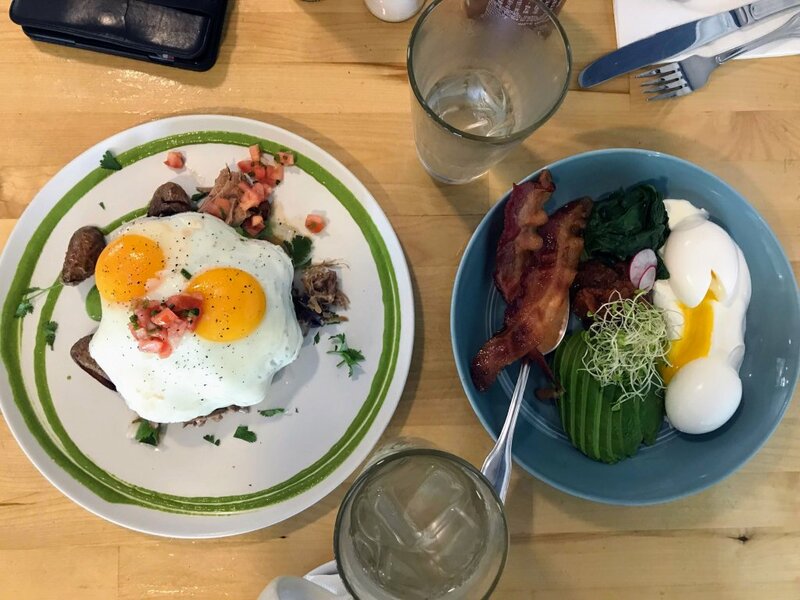 Did we miss any of your favourite keto places in Oahu? Please let us know in the comments below. 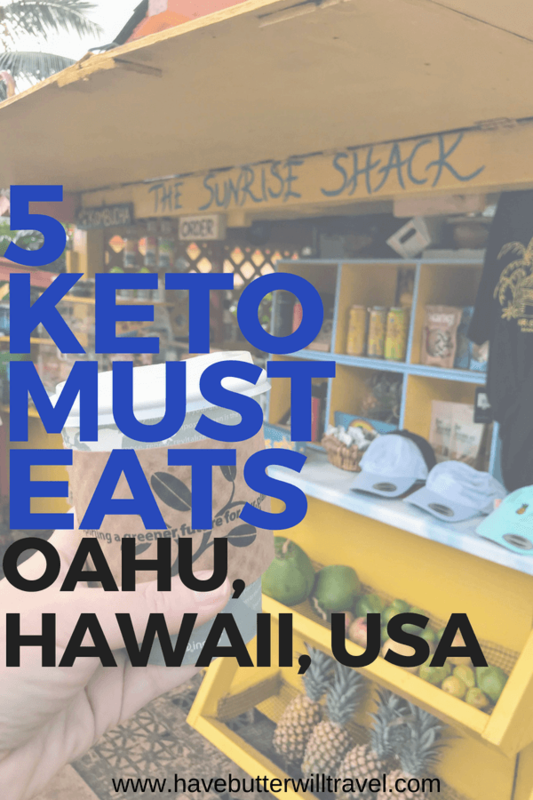 If you love this keto must eats in Hawaii, check our other keto eats locations. I am so glad you liked the post. We love konos. I’m sure you won’t be disappointed.